5 Key Changes in BC’s New K-12 Curriculum: What are the Implications for Post-Secondary? British Columbia’s Kindergarten to Grade 12 education system is being updated and enhanced. New mandated curriculum for Kindergarten (K) to Grade 9 began in Fall of 2016. New Grade 10-12 curricula will roll out in Fall 2018 (Grade 10) and Fall 2019 (Grades 11 and 12). As early as Fall 2020, post-secondary institutions could start seeing a wave of students who have had some of their education with the new curriculum. What impact (challenges, opportunities for making learning journey more seamless for students, areas for exploration) might this have on teaching and learning for universities and colleges, institutes and polytechnics around the province and beyond? The following summary is a very high level/early-stages-of-roll-out perspective on what the changes are and how they may affect post-secondary institutions. Some of the K-12 changes are still in a draft state undergoing edits and updates — so read on with this understanding. Any sort of system-wide change will take years to fully be implemented. For now, here are 5 key changes that are part of BC’s new K-12 curriculum and how they may impact post-secondary education. The introduction of “Core Competencies” are front and centre to the new K-12 curriculum. They are to be integrated into all subjects and grades. The competencies are sets of intellectual, personal, social and emotional proficiencies that all students should develop to engage in more meaningful and life-long learning experiences. Think of these as the ‘soft skills’ required for success throughout life. Teachers are exploring ways to give students experiences within a subject area to work on communication, thinking and personal/social competencies and then provide them with varied self-assessment experiences to reflect and consider evidence of their growth. Impact on Post-Secondary: For many institutions who have developed “institutional learning outcomes” or “graduate attributes”, they’ll be pleased to see that many of the same skills and attributes (critical thinking, communication skills, self-regulation, valuing diversity) are now part of a student’s K-12 educational background. Students will come into PSE institutions more aware of the skills and attributes required for learning success. Post-secondary educators can explore ways in each discipline to continue to enhance these competencies, find ways to make them more evident to students in learning activities and possibly incorporate into assignments, lessons and experiences. The use of student portfolios provides other possibilities for students to provide examples of the competencies/graduate attributes in demonstrating their learning and development of the skills and knowledge required of their education. Core competencies can also be extended through linkages with co-curricular records, experiential learning opportunities (co-ops, internships, work experiences), service learning and other learning avenues that allow students to provide evidence of examples of their further growth and development. In addition, post-secondary educators can incorporate self-regulation strategies and metacognition exercises into their lessons to assist students with ‘learning how to learn in the discipline’. This might help students gain skills in becoming more self-aware of what new methods work for them in learning in post-secondary classes. Know (aka Content Learning Standards): These are the essential topics and knowledge at each grade level that students need to know. This is ‘content’ that students learn. These are less detailed and prescriptive (and less in terms of ‘amount’) than past curricula. This allows teachers and students to go in directions of particular interest or local relevance, as well as dive deeper into fewer topics and focus less on rushing through a list of factual details in an attempt to ‘cover’ all the required topics. Do (aka Curricular Competency Learning Standards): These are the skills, strategies and processes that students will develop over time. 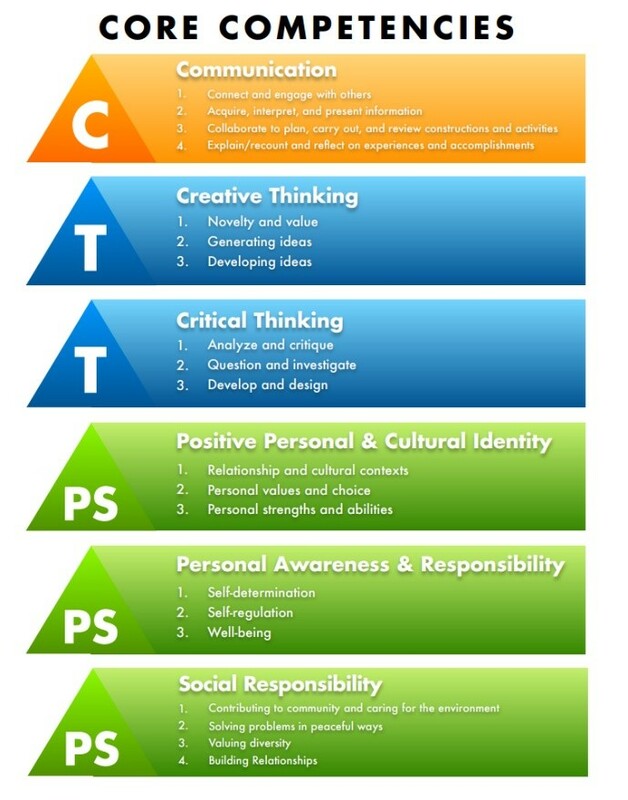 These are more subject/discipline specific, but they also connect to the core competencies. This the demonstration and application of content through the ‘how’ of the learning. Understand (aka Big Ideas): These are the generalizations, principles, key concepts and other important ideas in an area of learning. These big ideas are what students should understand by the completion of the curriculum for their grade, but they are intended to persist beyond a single grade and aid in future understanding. These are the concepts or principles that you want students to fully understand beyond anything else in the course, class or subject. The new curriculum has a greater emphasis on personalized learning (the design of learning experienced to address the diverse needs and interests of students), along with more flexible learning environments (allowing for teachers to create relevant, engaging and novel learning environments). These two distinct but related components of education are embraced in BC’s K-12 curriculum allowing for teachers and students to explore local contexts, place-based learning and using technology to allow for more choice in demonstrating learning. This allows teachers to take the Know-Do-Understand Framework and make it work for localized issues and content, including designing a variety of new and integrated learning experiences for students. Impact on Post-Secondary: The curriculum has less “knowing” and more “doing” along with focusing on the big ideas. Students should come into post-secondary hopefully with stronger skills, strategies and processes for applying and doing the learning. 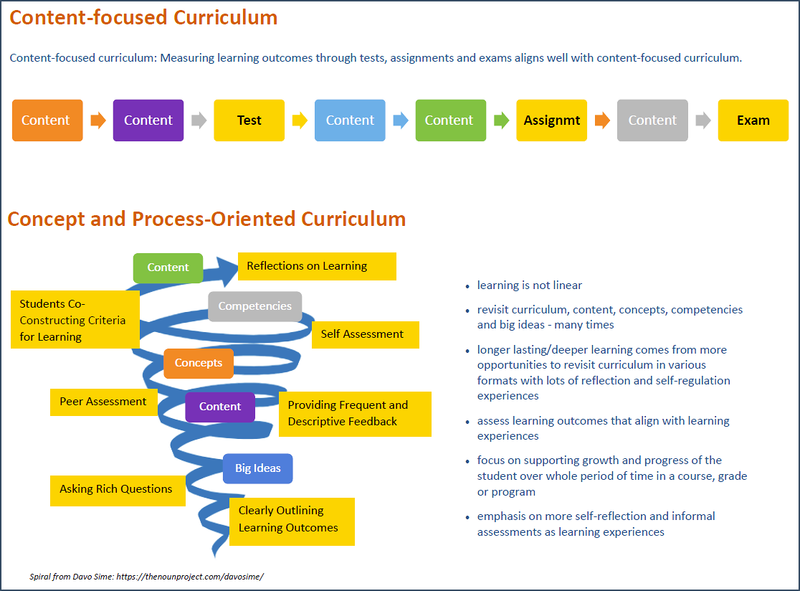 The previous K-12 curriculum had a lot of ‘knowing’ and a larger amount of content to attend to, whereas this new curriculum is focused on the “how” of learning in a subject area. Students should be arriving in PSE institutions with greater awareness of the learning process, how to go about applying their skills and knowledge and will seek to understand the bigger ideas and principles for new courses and learning experiences. In addition, students will have had more choice, flexibility and experiences in personalizing their learning coming into post-secondary education. 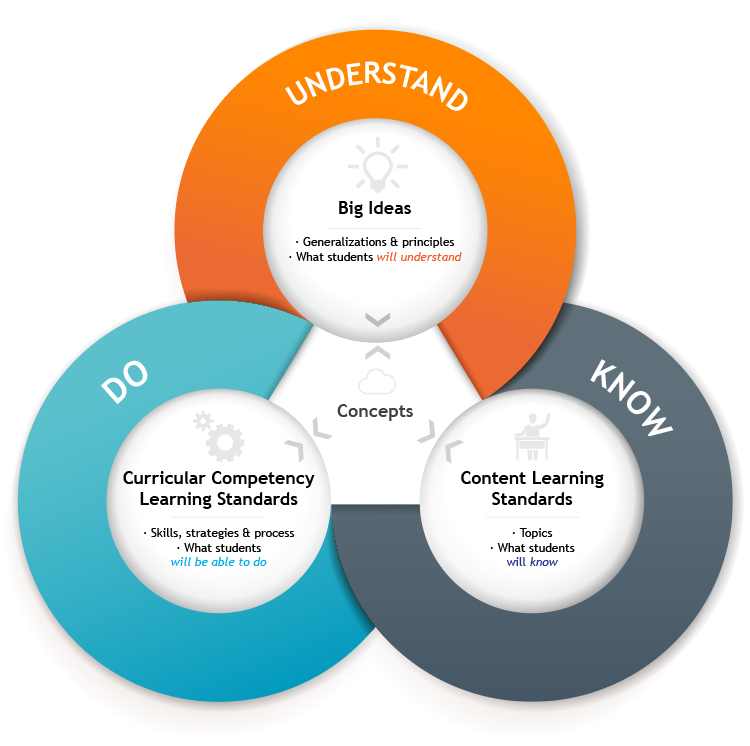 Possibly the bigger underlying concept with this new framework is the shift from content-focused curriculum (more linear and focused on testing, assignment and exams at end of topics, chapters, themes or modules) to a concept and process-oriented curriculum (more spiral in shape and focused on revisiting concepts and content many times throughout a course) with frequent and varied assessment as learning experiences to guide students in understanding their growth and development. This may be the more challenging component for all educators in redesigning and enhancing their assessment and instructional methods. The opportunity for post-secondary educators is to look at their curriculum and classes and take this opportunity to reassess how learning happens. Are there elements of the new K-12 curriculum that could be extended or enhanced in university and college classes? Would chatting with Gr. 10-12 teachers on how they are teaching a specific discipline in this new curriculum model assist post-secondary educators in making learning a more seamless experience for students? Might this new curriculum provide opportunities for collaboration and connections to create professional learning for both the K-12 and PSE sector? The new K-12 curriculum provides both sectors will opportunities to grow and learn from each other. Provincial exams in specific subject areas are no longer and instead high school students will engage in two new provincial assessments, one focusing on literacy and one on numeracy. These two assessments are a requirement of completion for graduation and align with the new curriculum. These assessments are primarily for strengths-based assessment to give students and parents a snapshot of performance in two key areas. Students take both the assessments in their graduation years (Grades 10-12) at the most appropriate time for them. The assessments are not tied to a specific math or language arts course, rather they assess a student’s skills developed over the course of their education (K-9). They each take a couple of hours to complete and mirror the classroom assessment practices to which students are accustomed. One of the assessments will focus on numeracy and it will be implemented in the 2017/18 school year. The other assessment is on literacy and will be introduced in the 2019/20 school year. 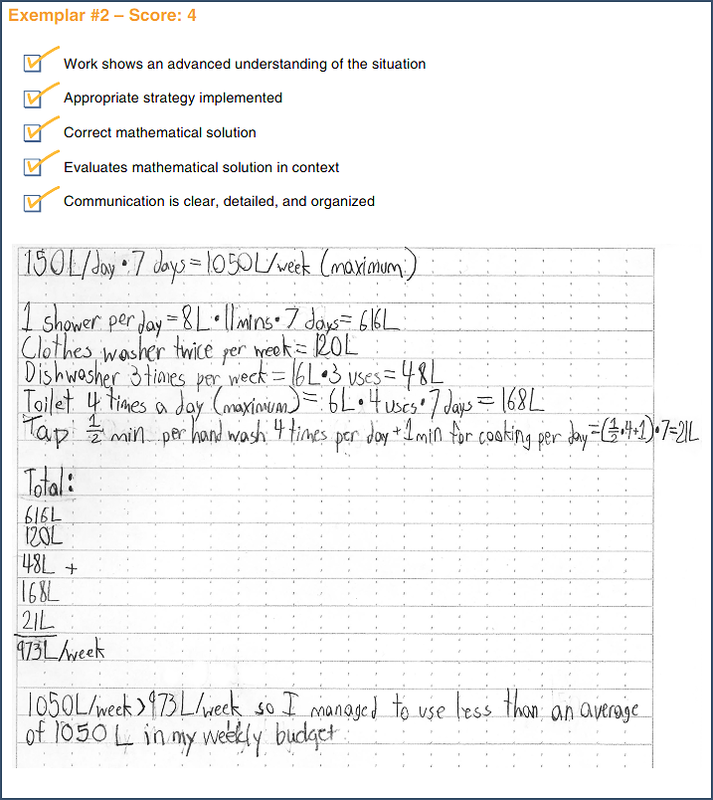 Each assessment has 3 components: a common component (e.g., 24 short answer or selected response questions answered online by all students), a student-choice component (students choosing one of two options requiring a longer response they do on paper) and a self-reflection component they do on online (that is not marked). Results will be reported on a four-category proficiency scale and will appear on a student’s transcript as one of the following (with corresponding number level): Emerging (1), Developing (2), Proficient (3) or Extending (4). There will be French and English versions. Students will be given two opportunities to rewrite during their graduation years should they wish to improve upon their proficiency result. The best outcome will appear on their final transcript. Impact on Post-Secondary: Most of the discussion in the province around the new graduation assessments is about admissions. Eventually all course-based provincial exams that accounted for 40% of the final course mark will be no longer (e.g., English 12, Communications 12). Many post-secondary institutions have decided they are not using the proficiency results of the new Numeracy and Literacy Assessments as an indicator of admissions for their institution, but some may use them. Post-secondary institutions may wish to use the results in other ways to assist students in being successful in their studies. There are opportunities here for rich conversations amongst all educators. Assessment and instruction are very interconnected, and so BC’s assessment system has been redesigned to align with the new curriculum. Assessment is given a much higher profile than in the past. Assessment of all forms will be more flexible and exhibit a more personalized approach to learning to measure deeper and more complex thinking. In addition to the provincial assessment changes as noted above (e.g., Literacy and Numeracy Assessments), classroom assessment and reporting will be aligned with the new “Know-Do-Understand” model. 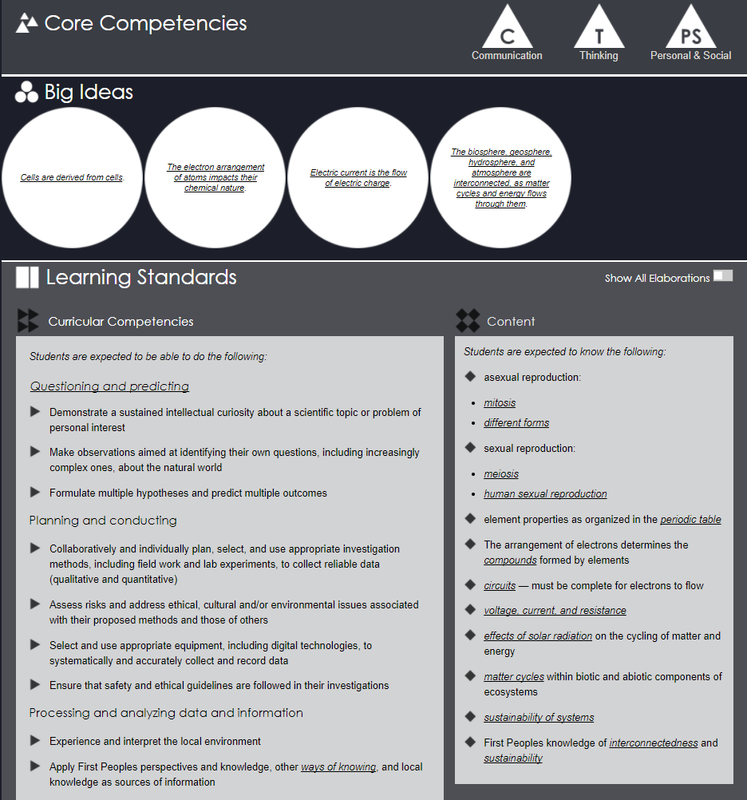 Self-assessment and reporting of the new Core Competencies is also a new assessment area for students and educators. There is a greater emphasis on assessment AS learning (where students can monitor and critically reflect on their learning and make decisions about learning strategies) and less emphasis on assessment OF learning (where students engage in a task or activity geared to measure, record and report on their achievement on specific expectations). The triangle diagrams show the shift from a greater emphasis on assessment of learning (tests, assignments, quizzes, formal evaluations) to more assessment as learning (self-assessments, peer-assessments, reflections on learning, self-regulation monitoring etc.) – and this aligns with all the significant research in teaching and learning. Students have richer and more impactful learning experiences when they have more opportunities to engage in assessment AS learning. 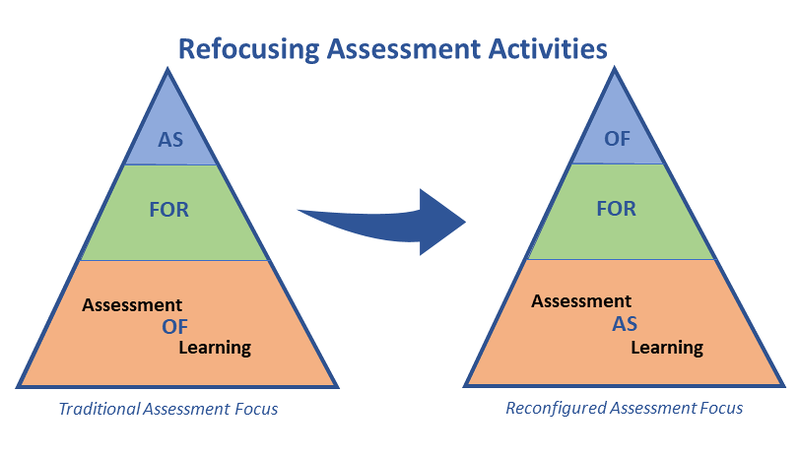 Assessment for learning (the ongoing assessment teachers do to monitor a student’s day to day progress to modify teaching) remains important in the reconfigured assessment focus. With this greater emphasis on assessment, educators will be communicating student learning (to students and parents) in a variety of ways (not always marks or grades). This might include exemplars of student learning with reflective summaries, demonstration of learning through a variety of modes and means (including using technology, eportfolios, blogs, videos etc.) along with students taking on a greater role in communicating their learning. Impact on Post-Secondary: With an increased emphasis in K-12 on assessment as learning, students should enter post-secondary institutions with greater self-awareness, abilities to engage in effective questioning and inquiry processes, as well as being able to reflect on their own learning and identify areas of strengths and need. Students may express wishes to continue these assessment practices as they continue their learning journey and development of self-regulation and metacognitive learning skills. Post-secondary educators should be prepared to foster continued growth with similar techniques and tools for student success. However, both sectors require more training and resources for knowing how to implement learning with greater emphasis on assessment as learning. It won’t happen overnight and requires understanding and confidence first with the strategies and methods for implementation. Aboriginal history, culture and perspectives have been integrated in all the new BC K-12 curricula. The authentic and respectful inclusion of Aboriginal content, culture and knowledge has been an important part of the curriculum transformation process. Schools are engaging students in a variety of learning experiences focused on Indigenous ways of knowing to develop empathy, respect and good citizenship in student. An important component of integrating Aboriginal perspectives is to ensure all learners have learning opportunities to explore and experience Aboriginal content in their entire learning journey (and not just in specific courses or grade levels). This means that from Kindergarten to graduation, BC students will have a more fulsome experience of Aboriginal perspectives and knowledge in whatever grade, subject or class where they are learning. Impact on Post-Secondary: Students will be coming to PSE institutions more aware about First Peoples history, culture and perspectives. PSE institutions are already working on how they can integrate these same First Peoples history, culture and perspectives in their courses and classes. This is a challenge for both sectors (K-12 and PSE) as this takes time for educators to learn themselves, clarify their own misconceptions and experiences and get to a place where they are appropriately integrating Indigenous perspectives and ways of knowing in their classes in meaningful and authentic ways. A simple checklist of ways to change your class or adding new literature or posters to curriculum is not the way to approach appropriate integration. 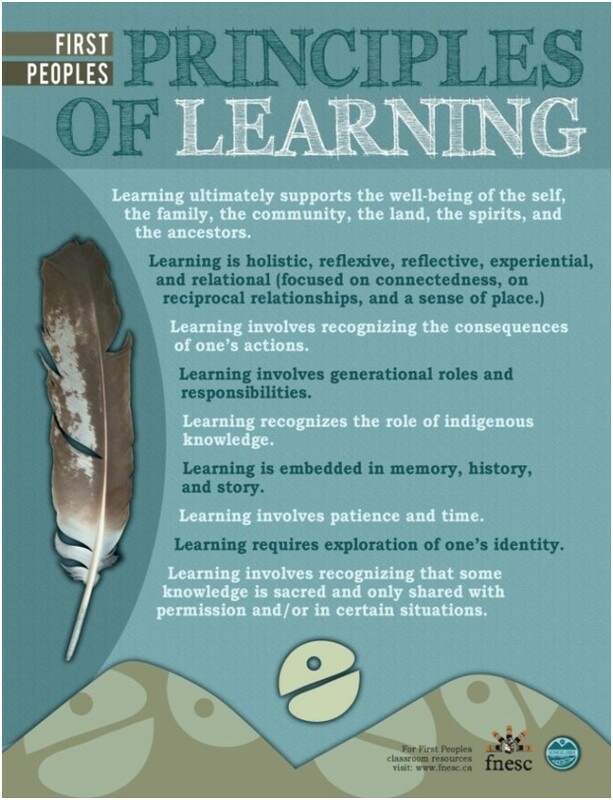 The challenge by all educators and support staff is to embrace Indigenous learning as a life-long journey – as it is going to take a while to feel comfortable and understand what needs to be done. 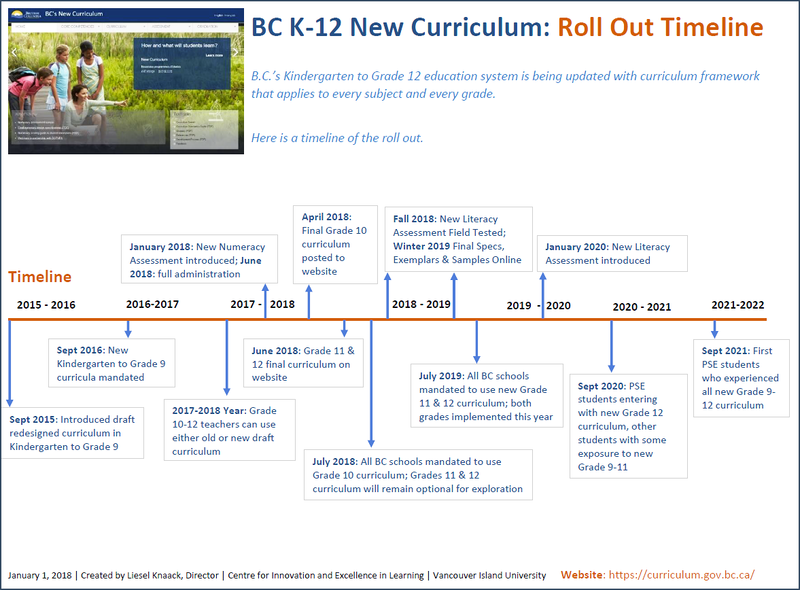 This blog post was written to give a high-level overview of the changes in the new BC K-12 curriculum and how these changes may impact post-secondary institutions. Other blog posts will follow exploring some of these changes in more depth, as well as how post-secondary institutions can leverage this change to their benefit in providing a more seamless learning journey for students. Thank you so much for this brilliant and useful overview of the changes. I particularly appreciate your invitation for dialogue between secondary and post-secondary educators. I hope that invitation is taken up by school districts.